Truth be told I haven't had a mechanical hard drive on my test bench since shortly after the X25-M review back in 2008. Once the major hiccups that faced SSDs were dealt with, I switched all of my testbeds over. I got more consistent benchmarks, better performance and since I was using the X25-Ms, better reliability. A week ago Western Digital wrote me and asked if I had any interest in covering hard drives. I'd been planning on building out a HDD addition to our live benchmark comparison engine, so I was definitely interested. It's not that I had forgotten about mechanical storage, it's that nothing exciting had happened there in a while. It was 2003 when WD introduced its first 10,000 RPM desktop ATA hard drive - the Raptor. After 5 years of incremental updates, we saw the first major change in 2008 with the VelociRaptor. Western Digital moved to a 2.5" form factor mounted to a 3.5" heatsink. The smaller platters meant read/write heads had less distance to travel, which reduced access times. It also meant lower power consumption, something that would matter in the enterprise world. Before I made the switch to SSDs, the VelociRaptor was our testbed hard drive of choice. It was the fastest thing money could buy. But that was 2008. Since then even regular 7200RPM drives have been able to catch up to WD's dinosaur. Available in 450GB and 600GB capacties ($299 and $329), the new VelociRaptor picks up where the old one left off. 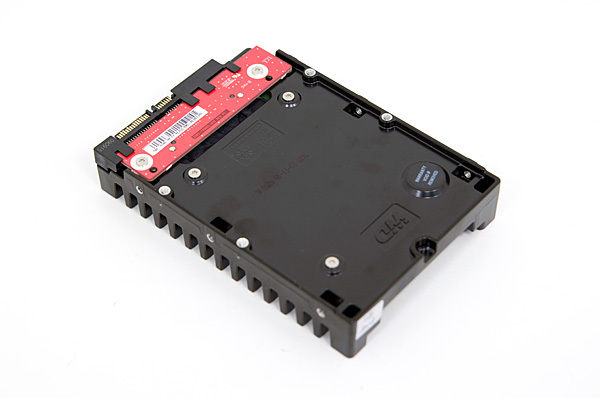 It's still a 2.5" drive with an optional 3.5" heatsink (called the IcePAK, standard on all drives sold in the channel) that'll keep it cool and let it mount easily in a 3.5" bay. The 2.5" drive measures 15mm in height, so you can't use it in most notebooks in case you were wondering. WD increased platter density from 150GB to 200GB, which results in higher sequential transfer rates and lower track to track seek times (0.75ms down to 0.4 ms). Average seek time remains unchanged at 3.6ms thanks to the drive's 10,000 RPM spindle speed. The buffer moves up to 32MB from 16MB. Just like the old VelociRaptor, WD has chosen not to outfit this new drive with its largest buffer (64MB currently shipping on the Caviar Black drives). The on-board controller is WD's latest dual-core design. I don't have much information about it but I'm guessing that because drive management is getting more complex, the controllers must scale up in complexity as well. 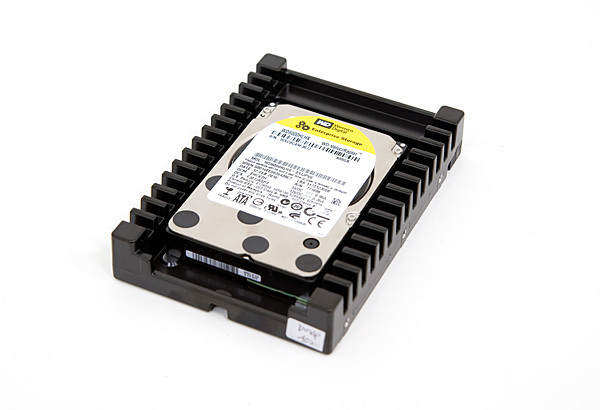 The drive supports 6Gbps SATA, however you see no performance benefit from it (in fact, in many cases it's actually slower than 3Gbps SATA if you've got a good integrated SATA controller). Western Digital claims to have increased the number of head load/unload cycles the new VelociRaptor can withstand. The drive heads must be positioned over the rotating platters in order to read/write data. When they aren't in use, the heads are retracted (or unloaded) to prevent any accidental damage to the platters and thus your data. The old 300GB VelociRaptor was rated for 50,000 load/unload operations. The new VR200M? 600,000. Do you have that test result?